When the A380 entered the market, some major airlines were keen to add the A380 to their fleet. The flagship role meant that the aircraft was built with lavish interiors, resulting in configurations such as Lufthansa’s 488 seats to Korean Airlines’ 407 seats. As fuel prices went up and long-haul got more competitive, the complaints started. The A380 was expensive to operate, some said. No wonder, when you operate it at 80% of its capacity, answered Airbus. The seat installations were allowed to occupy more area in the A380 than in any other aircraft. There was one operator who understood how to use the areas of the aircraft correctly: Emirates Airline. It installed showers, but more importantly, a real bar on the upper deck. The bar was present in every video clip around the aircraft and in every marketing action. It showed happy business travelers killing the long hours of the trip with fellow passengers, sipping a drink. Emirates’ President, Tim Clark, admitted the shower could have been left out but the bar was the best Emirates ever did. Lapidus’ Amedeo leasing company is alone in having an order for 20 A380s. None is placed so far. “It’s not the problem people make of it,” Lapidus says. “We are the prime sale/leaseback company for Airbus for the A380. We are OK. Sale/leasebacks keep us busy, but what we really want to do is help Airbus to break the jinx around the A380. “We have got smarter. Emirates showed the way. The A380 is a non-normal aircraft and it should be used in a non-normal way, in a disruptive way,” says Lapidus. “Airbus and we have marketed it to non-disruptive airlines. Take the big three in the US. They are the most conservative airlines there are. For them, it’s all about ‘no extra capacity, no changes. We are happy, as are our shareholders. Don’t rock the boat!’” says Lapidus. Lapidus finds more traction with those that already think outside the box, such as those that left the comfort zone and started LLCs. First, LCCs for short-haul, now long-haul. Airlines like AirAsia and Norwegian. “ANA will use their A380 for leisure mass travel, as will Malaysian Airlines (up to 700 seats),” remarks Lapidus. “This is where I expect things to happen,” says Lapidus. “The issue of operating a few A380s in a fleet is solved. ANA will operate three. No problem with today’s aircraft and engines paid by the hour,” he says. “It has gone so far that I understand that US legacy carriers would rather want the A380 to go away. Then Emirates would not have access to its sharpest passenger weapon, the idea of hanging with others in the A380 Sky bar,” says Lapidus. I’ll let you know what Emirates business class is like on the A380 in about 7 weeks time. Bangkok to Sydney. I’ll be travelling in A330 and A350, as well as B767, B777 and B787. The flights just worked out that way . I look forward to the report on all of them. Comfort factor in the cabin aka the altitude and humidity of the 787, its larger windows as well as seeing and other amenities across the board in each category. But business class comfort comes down to the airline, doesn’t it? Having said that I flew the pointy end of a 787 recently and I didn’t like it, the floor moved too much everytime somebody walded past and I couldn’t sleep. Been there, done that. Flew a crowded 747 LR (short version) back in the day to Taiwan. Only good part was a very nice seatmate. Worst headache I ever had in my life, bolloxed up flight setup that was not workable. Ungh., Good part was a night in a 5 Start Hotel. Ditto onto Philippines, shorter flight though. Going back another tight pack 747 to Japan. then for whatever reasons, I was in business class form there to Seattle. Empty business class, I had 3 seats to myself and took full advantage of it to catch up on sleep. Woke up in time to wave at Anchorage as we went by . Then again for whatever reason first class from Seattle to Anchorage. You send someone out to do a job and maybe you want them to function? Save money on the travel and pay for it on the other end. Seats were probably not bad though it was all Asian class as Anchorage to Taiwan link was only because of a fuel stop. I think I was the only person who got on. The superior cabin air quality of the 787 (and by extension A350) is more myth than reality. 1, The existing modern Airbus widebodies already keep cabin pressures below 7,000′ except when reaching FL 400. 2. Humidity is actually better in Y than in premium cabins because of the density of pax. 3. The only real improvement in the 787 is that the air circulation system brings the humidity in premium cabins up closer to Y standards. It does not have any active humidifiers (except for the cockpit). 4. Humidifiers can be installed in metal fuselage aircraft too; the corrosion argument is a bit of a red herring. 5. The main obstacle to installing humidifiers in any aircraft – metal or composite – is that they require water…which of course weighs a lot. 6. Given the last point, I confidently predict airlines will start installing humidifiers just as soon as they begin converting their 787 and 777 Y cabins back to 8 and 9 across respectively. Nothing is more annoying than people telling me how good anything other than economy is. Or between Southwest and Ryanair? With a joint company they could connect their large networks in Europe and the US with A380s configured with 800 seats onboard. I can see a future where LCCs use the superjumbo for crossing the Atlantic, but I think it is more likely the LCC will go A321LR especially EasyJet and JetBlue. BOOM!!! It’ll happen… Ryanair (shorthair) is close to an interlining deal with Aer Lingus and Norwegian Long haul)… Which will test that model… Hopefully this year. Emirates COO is Adel Ahmad Al Redha. Tim Clark is President. So showers were the best thing to happen to the A380 and its future is LCC. Hard to find a successful wide dbody LCC, let alone a large wide body LCC. When Skymark took a chance on the A380 with a unique business model Airbus bankrupted them. Maybe risk averse is advisable. With all due respect, but it may seem as if you’ve got a reading comprehension problem. 2) Airbus and Amadeo are “seeking the market niches that will keep production at minimum one aircraft per month”. Skymark flopped long before they were to take their A380s — caused primarily by an overly ambitious expansion strategy. Skymark, themselves, blamed it on a weaker Yen. The difference between showers and bars when it comes to LCCs doesn’t change the point. Norwegian (long haul) and Air Asia remember just a couple years ago when they were suffering with significant losses and with gas prices on the rise and them not operating aircraft larger than a 789, yes an A380 would be a risky jump/bet for already shaky ventures. Airbus was a primary creditor in Skymark’s bankruptcy. That airline’s life would have been significantly improved if it never ordered the aircraft and if Airbus didn’t force them into BK. If I was an airline on the cusp I would take head. Maybe that is why Amedeo has had zero success with their 20 aircraft. Maybe an interview with Mr Lapidus is slightly biased to that effect? That’s not what you said: “So showers were the best thing to happen to the A380 and its future is LCC.” — clearly, two separate statements. As for Norwegian (long haul), there is no need to muddle the water. They went into red primarily due to the high number of technical problems on their early 787-8s and where a large number of passengers were affected by flight delays. It was so bad that a Boeing team, which included then CEO Ray Conner, was summoned to Oslo to discuss reliability issues that had overshadowed the entry into service of Norwegians 788s. Norwegian Air had laid blame on Boeing from day one, arguing that under its GoldCare service package Boeing was responsible for every fault and had an obligation to maintain reliability. Norwegian Air said it had asked the U.S. plane maker to face the press on Wednesday. But Conner didn’t speak to reporters, despite mounting press criticism and comments from Norwegian Air that Boeing lacked adequate quality control. “They didn’t do themselves any favors at all when Ray Conner went to Norway and did not talk publicly,” said Richard Aboulafia, an analyst at the Teal Group in Fairfax, Virginia. “There was no better signal for the airline to aggressively go public,” he added. Boeing promised to locate spare parts centers at all of the airline’s long-haul destinations and send a team of engineers to the Nordics to monitor the planes. On Saturday, however, when the jet needed further repairs, Norwegian renewed its criticism. As for Skymark, you’ve failed to mention the 6 Premium Economy-only A330s that they ordered, some of which were actually operated by Skymark. Which other airline in the world operates wide bodies in a Premium Economy-only configuration? AFAIK, none. And if you can’t see the contradiction in those two statements than I can’t help you. Its that contradiction that I was bringing attention to. Isn’t this article about the A380? The progress payments on incoming A380s were what drove them into BK, which is why Airbus became a creditor. There really isn’t any way around that. I imagine customers entertaining unique business models regarding the A380 will take notice. Those that don’t learn from history are condemned to repeat it. A contradiction entirely created in your mind. Quote from you; “So showers were the best thing to happen to the A380″. Without even being sarcastic you managed to turn what Clarke said into something entirely different, in a truly trumpian way. Again, as an A380-basher you lay the blame squarely with the A380. Any other explanation would, of course, not suit you agenda. As for the Airbus A330, the aircraft was to be configured in 271 Premium Economy Class only and would be deployed on key domestic routes such as Tokyo Haneda to Sapporo and Tokyo Haneda to Fukuoka. These premium economy class seats had a generous seat pitch of 38-inch legroom space and 22-inch seat width. This airline had plans to install these seats on the Boeing 737 but shelved it in early 2014, to continue competing with Low Cost Carriers such as Peach, Jetstar Japan and Vanilla Air. Unfortunately, losses due to the weak currency and other factors forced the management to change their plans. Measures were then made. First, the airline downsized its network from Narita Airport to only 3 destinations: Sapporo, Yonago and Okinawa. This is because of the competition from the Low Cost Carriers causing it to lose money and since it wasn’t doing well, finance for the 3rd Airbus A330 and others were greatly affected, as a result Boeing 737s were re-deployed on charter flights from Tokyo Narita and Haneda to Guam. After the introduction of the airline’s A330 to its network, observation were made of its load factor. Comparing to the Boeing 737-800, its average load was only around 67% of its capacity in December 2014. Air fare was increased to around ANA and Japan Airlines’ and this possibly cause the airline to lose some capacity to other carriers. Would be interesting to see what off stage activity lead Airbus to deviate from their usually much more accommodating customer interaction. Well, they got ANA as a customer. Thanks Tortugamon, should have been CEO but President is more correct. Fixed. Happy to help Bjorn. Though I don’t always agree, I continue to appreciate your thoughtful insight. Sorry, that’s *not* what Clark said. Tim Clark, admitted the shower could have been left out but the bar was the best Emirates ever did. He singles out the shower as something they could have done without. It’s the bar that Clark said was the best they ever did. And as we’re at it – I can quite imagine that working with LCC as well, as it’d allow them to sell more non-complimentary drinks, which I understand are a welcome source of income for LCCs. Perhaps, the US legacy carriers want the A380 to go away because they might fear what comes next — a massively improved and hugely disruptive A380-derived twin family. Wouldn’t hastening the demise of an aircraft be in such an airline’s worst interest. If they were so worried, they should be rooting for the A380 to have legs. EK hurts Europe much, much more than the US3. And if it was hugely disruptive maybe the largest and most profitably airlines on the planet (US3) would be interested in buying it? Just a thought. Hasn’t the anti A380 brigade always talked about how the A380 doesn’t fit into the US3’s business model, because the US3 operate international flights from several hubs and not merely one hub, which is the case for most non-US legacy airlines. Again, I’m not talking about the current A380-800, but a second generation one (e.g. a twin-engined derivative using the same basic wing, but which would be modified with a 25 percent increase in wingspan and a 65 percent increase in wing aspect ratio). A hugely disruptive A380 derived twin operated on US routes by most, if not all of the large international carriers that operate from essentially one big hub, would IMJ essentially eliminate competition from US airlines on routes to the US from most of these large international hubs (i.e. LHR, FRA, CDG, DXB, SIN, HKG etc.) ; that is, if the US3 would choose not to jump on the bandwagon. You are not going to see a A380 NEO X of any type and you sure as the sun rises in the East are not going to see a twin engine A380. The common characteristic of fundamentalism is absolute certainty. A fundamentalist have no doubts and is someone who creates absolute certainties where there isn’t any – just like you’re doing here. You seem to be confusing your own biased predictions of your own preferences with things that are readily and successfully predicted. For instance, the times of sunrise and sunset, the tides, solar and lunar eclipses — all perfectly predictable. I agree there won’t be a twin A380, but can there really be any doubt that the A380NEO is only just waiting for the Ultrafan? From what I hear a lot of engineering work has already been done on saving weight and many other small improvements. What I don’t know and what is probably not decided upon is how much more CFRP will be put in and if and by how much it will be stretched. But as the Ultrafan is still in development for some years those decisions can still wait. Well you obviously are not a mechanic or a technician. Been both, Engineer now for what its worth as there are no letters to go with it. I never was able to get a failed piece of equipment working dreaming about it. There are immutable laws involved. I can pie in the sky all I want, but I can’t make a 20 ton A/C unit be more than a 20 ton A/C unit no matter how unhappy everyone is. Lets see, pull the compressor, put in a 40, beef up the wiring and circuit breaker, add a condensing coil, add a bigger evaporator coil, add more condensing fans, add another control box to handle it, add another control system to handle it. So no, you are not going to modify an A380 into two engines. Its close to if not an engineering impossibility and cost wise you can’t begin to justify it. No one is going to make an engine that size. The wing can’t take it. So you are talking about is the cost of a whole new program that can’t sell. NEO, almost certainly not going to happen when you can’t sell a CEO. That may have a tiny inkling but depends on significant long term sales. Can Airbus hang on to a point where there is some demand for an A380 class? Maybe, but you are not going to see any money put into it as there will never be a return. You don’t seem to grasp by how much the performance of the A380 is lowered due to the low aspect ratio of the wing. In fact, it’s flying around with “clipped wings”. Why a twin? Because a significant increase in aspect ratio of an existing wing for a quad tends to be a far more complicated undertaking than it would for a twin, due to fact that the the outer engine placement for a quad is rather sensitive to where on the wing it’s located (with respect to the wingtip), and we’re dramatically increasing the wing span and the wing taper ratio that will affect the wing lift and Cl distributions. On the current A380, the outer engines are at 64.45 percent of the semi-span. By increasing effective wing span to around 100 m, the outer engines would only be at <54.32 percent of the semi-span and they would thus move away from the area of the wing where the wing is most heavily loaded (i.e. the typical location for where to place the outer engines on a quad). Now, do you realise that the all metallic A330neo wing will have a higher aspect ratio than any other wide-body flying? It's 11.22 (e.g. (64 m)squared/365 m2). The current A380 has a wing span of 79-75m and a wing area of 845 m2. It's wing aspect ratio is then 7.53 (e.g. (79.75 m)squared/845 m2). An A380 derived twin could have a wing aspect ratio as high as that of the wing aspect ratio of the A330neo (i.e. (99 m)squared/875 m2 = 11.2). At one engine out the A330-900 is left with a thrust-to-weight ratio of 72,000 lbf / 533,519 lb = 0.135. Should I repeat that number again? 166,670 lbf left at one engine out for a 560 metric tonnes A380 twin, as outlined in my comments above, is no different than 72,000 lbf left at one engine out for of a 242 tonne A330-900. Of course, in your world any engine larger than the 115,000 lb of thrust GE90-115B engine is just not possible — never mind that the industry went from 56,000 lb of thrust engines on the 747-400, to the GE90-115 engine in just 15 years. Going from 115,000 lbf to 160,000 lbf – 170,000 lbf would be less of a step, percentage-wise, than going from 56,000 lbf to 115,000 lbf. At some point it will become known as the common-sense brigade. Hard to believe there are still defenders when the current stated goal is a 12/year production rate and for it to have no effect on Airbus’ financials. Sounds like a great $25 Billion program. Anyway, moving on to the actual point here. Of course the multiple hub model heavily contributes to the US3’s lack of interest in Very Large Aircraft. If such a super-duper A380 that was head and shoulders better than smaller twins suddenly became available I don’t think the semi-intelligent airline execs would suddenly become idiots. Business strategies evolve based on tools at one’s disposal and emerging technologies. The problem is the A380ceo has never been super-duper. Hell, United says their existing 787s match its seat economics. ‘According to Rainey, the A380’s higher trip costs make the plane less competitive against smaller rivals such as the Dreamliner. Not much of a common-sense brigade, I’m afraid, but rather an agenda-driven fundamentalist brigade for whom everything is black and white and where the A380, apparently, is on trial. “If such a super-duper A380 that was head and shoulders better than smaller twins suddenly became available I don’t think the semi-intelligent airline execs would suddenly become idiots”. OK, so you agree that that a next generation A380-derived twin — using pretty much all of the existing airframe, while achieving a 40 percent trip fuel reduction — would essentially be a game changer. That’s progress. I would have thought that with your line of thinking, a twin cannot be bigger than a super-duper 777-10X, MTOW of 352 tonnes etc. — anything bigger, not doable. And if it was hugely disruptive maybe the largest and most profitably airlines on the planet (US3) would be interested in buying it? The short answer is: No. Not necessarily, anyway. Looking at my humble experience in the IT industry over the past decade, it’s usually not the large, dominant long-established companies that drive innovation and disruptive technology. IBM is a pretty good case in point (there are others, but IBM at least everybody has heard of). Their primary focus is to protect their profits and their standing, not to disrupt their industry and thus their own business model. They actually tend to go to great lengths to prevent disruption. To a point, that’s fair, I guess – but the thing is that if you’re looking at the US3 for innovation/disruption, you’re plainly looking in the wrong place. Delta, AA and UA are (finally) reasonably well-run companies, but they’re not driving innovation at this point in time. Case in point here – even LH, themselves not the most agile, innovative company you could imagine, beat all of the US3 to the punch when it came to introducing premium economy. Disruptive is lots of fun to talk about, but the difference between 15 billion dollar programs that are 25 year or better investments vs an Apple Watch that if it does not pan out can be revamped and revised 100 times is not even on the same level. Remember the Palm Pilot? Ahead of their time and a bust. Space X may be the closest and that’s a billionaire with a NASA support project to get it off the ground. C919 was the closest and we see what we got form that. Last decades tech. Oh yeah, isn’t it fun to talk about all the failed ideas? However, that way one conveniently ignores the disruptions that actually happened. Such as the iMac, digital photography, the smartphone, the tablet and virtual computing, all of which hurt the likes of IBM, Dell, HP, Kodak quite badly. That said, contrary to their position when the iPod, iPhone and iPod were launched, Apple is now actually a dominant, established force and – call it coincidence – their (perceived) level of innovation/disruption has gone down. You mentioned the Apple Watch, which was basically their chief designer’s pet project. Buying an Apple device is a bit akin to flying DL, UA or AA these days: You know you’re not doing anything fundamentally wrong. You’re going with the established, save option. As you mention yourself: The C919 is basically just an attempt at matching what others have already done. So by definition, it’s neither innovative nor disruptive. Technologically at least. Its inherent disruption lies with the fact that China is building it and thus challenging the established OEMs. However, partly due to the lack of technological innovation/disruption in the C919, it’s hard to see it appealing to many customers outside China. This would be the same Amedeo that hasn’t taken a single A380 of the 20 on order backlog? The one that Airbus has now distanced itself from because it lacks credibility. Too much focus on what COULD be done and not enough on what WILL happen to the majority of the operating fleet. They need airlines to change their thinking if the type is to survive. Good luck with THAT! This would be the same Amedeo that hasn’t taken a single A380 of the 20 on order backlog? The very same, as the article says in its opening paragraphs. The one that Airbus has now distanced itself from because it lacks credibility. For Marc L : Norwegian’s DU division has become line payfreight-sensitive … their Freight Coaches are successfully chasing around beating the bush to lift hard-currency paying scheduled line payfreight. The 787-900 can accomodate quite a number of LD3 with payfreight on top of a full pax payload. Kjos’ people will look closely onto this aspect when assessing the utility of the A388 in the LCC guise. If I remember correctly, after accomodating the LD3 with CIL (checked-in luggage), only 8 free LD3 are left available for freight … onboard a Legacy-fitted A380. Now for an all-YClass-fitted unit, what’s left ? This is definitely a sales drawback fot those people ? Try to look it the other way around. The A380 is the ideal aircraft for passenger transportation. If it is full of passengers no space is left. No additional efforts required to fill the space with far less profitable cargo. E.g. the 777 has a lot of space below the passengers that could be used for cargo but also useless space above the passengers that could not be used for anything worth. Cargo pays and that is why all aircraft other than an A380 has signfiicnat excess capcoity. Its a revenue generating machine. Pack and A380 and it still does not generate the same revenue a 777 does as its cargo capacity is no longer there. I remember when it first cam out the screams about no freight capacity. Funny from the same people who are so smart that they didn’t have that factored in? I have been saying for years that the improvement in shipping times as shipping companies turn into integrated logistics companies probably is the driver behind reduced air cargo volumes. The only positive point in the air cargo business has been Asia-Europe, any kid looking at an atlas can see that is a hopeless case for seabourne shipping to compete on. Now a few weeks ago it was reported that the first train carrying Chinese products to Europe had arrived in the UK. I am not sure that demand for the big bellies of 777s etc will continue for too many more years. Keeping in mind though that belly cargo has taken a huge bite out of dedicated. Its not gone away, its move laterally. The rest are not standing still but air cargo is still there, just moved. Yeah, but with an LCC all those luggage LD3s are paid ones! Competition in the US is quite often done via subverting the law and regulations making process. Thus and IMU this group is mired as they have grown up in the same bottle so to speak. Attack vectors are shared. Any of those changing their MoO would expose their flank to selective lobbying of the remainder. Kind of a water empire. Yes, frankly they act like a bunch of gangsters. The American carriers are the number one reason this great bird has not sold more worldwide. Its all pure chaos with who can bribe who. Currently they are slipping all passenger a mickey to fly their aircraft as well. I agree and have said before that airlines are killing the a380 by not using it correctly. Longhaul LCCs, especially those who have interlining feed from Ryanair/Easyjet (coming soon I believe) can defo fill 700 seats at an LCC hub and take them onto ‘wherever’. LCC passengers don’t gripe as much about waiting and delays… If the fare reflects the wait. What does surprise me though is, why don’t BA/AA or DL/AF, or LH/UA ‘share’ a380s through holding companies. The lower dexk can be LH crewed and styled with 3/4 classes… With the upper dexk UA styled and crewed… You book LH… Or UA… You fly LH or UA. The upper deck is a330 sized with lower 747/777 sized. Bring on the 380neo and within five years the 380 will have topped 1000 sales. I’m sure the critics(b fanboys mostly) would try their best to kill it like they did the current model bit it would be such a winner no airline could deny it. Except maybe for american airlines who have a vested interest in killing it. The A380 is “King of the Sky” and is a flying monument to Airbus’ greatness. Every time an A380 lifts off the runway it reminds everyone who sees it that Airbus is #1. And every time an A380 flies, it reminds everyone who sees it that only Airbus has the technical skill and organizational willpower to design and build such an amazing aircraft. If you recall, Boeing and Airbus thought about a joint venture at one time. The idea that the plane was built for pride is ridiculous.It may have helped at the fringes when dealing with politians. We’re just waiting for the hammer to fall? @Jimmy: Does it really hurt so badly that the glorious 747 has lost the crown to the A380. I’m not a Boeing or a 747 Fanboy….so it doesn’t bother me in the least. And, I really don’t like aircraft either – they are just tools for making money as far as I am concerned – but I do appreciate well-run Aircraft Programs. For example, I think the single aircraft with greatest potential to make money over it’s lifetime is the 777 (or was the 777). When the 777-300ER came along, they had an unprecedented production run that could have been the greatest Production Run of all time – and for a very long time. But Boeing goofed it up when they brought on the 777x (which I think is going to turn the 777 Program into a money loser by 2019-2020). So, the 777 Program, which started out way over budget and losing money for the first few years, finally hits stride and has the greatest Production “Glory Run” of all time (it is the “King of Widebody Aircraft Programs”) just to be ended prematurely by the 777x – that fat monstrosity with the flappy wings. Oh well. On the other hand, the A330s “Glory Run” is far from over. This is the plane that ended the 767 and 777-200 (via pressure and attrition) and will forever make the 787 program only marginally profitable at best. Meanwhile, Airbus has cranked production back up to 80 Aircraft per year and the “Glory Run” goes on. And I figure that by the time the A330 program is over, it will hold the title as the all-time “King of Widebody Aircraft Programs”. Of course, since Aircraft are just there to make money, the King of all Aircraft Programs so far has got to be a toss-up between the 737 and the a320. A lot of money made on these Programs! And that’s it Gundolf…that’s how I see things. I try to keep it real while enjoying a great industrial spectacle from afar. Airbus is obviously not doing just a “neo”. If you’d choose to look beyond your attempt of ironic writing, you should be able to grasp that a next generation VLA, based on the A380, might quite easily be able to top 1000 sales over a decade. So the first one has not even made what 200? The military calls that reinforcing failure. Fortunately for its employees Airbus is smarter than that. I agree. If Airbus wants to keep building the A380 as a “Flagship” (recurring losses and all) then I say…”Sure, why not – it’s probably good publicity”. But to go any further on with the A380….well I just can’t see any business case whatever. Anyways, despite all the losses, the A380 program did teach Airbus how to build a carbon Fiber Plane and set the stage for the A350 Program to run so smooth. Also, its failures have been the catalyst for Airbus to make long-term, beneficial Management Changes, and to fully integrate the Airbus Company into a company with “No Flags” – just Airbus Inc.. I mean, who ever thought that the French and Germans could learn to play together so well? It’s like cat’s and dogs reconciling and becoming best friends. Amazing. I still remember well my confusion when Airbus chose outsider – Louis Gallois – to lead Airbus back from the A380 debacle. then, after reading about the man – his education, corporate pedigree and unflinching support of Jean Pierson – I started to believe that Louis Gallois was the Go-to Guy (and he proved that he was). I think it’s a rare thing that an outsider can turn around a huge aerospace company – especially a commercial enterprise the size of Airbus. But he did it, and why not? Louis Gallois made the French Trains run on time before he came to Airbus – so he could do anything. Meanwhile, while Louis Gallois was setting Airbus on the path for future Glory, Boeing got to enjoy the Leadership of Jim “We make them Cower” McNerney. In 2020 and beyond, we’ll see which man set his company on the best path. More likely, an A380 twin will be to the A380 as the A340–200/300 is to the A330ceo (and A330neo) — i.e. 246 orders (and deliveries) for the A342/A343 and about 1700 orders (and deliveries) for the A330, and counting. Airbus has claimed that it cannot adapt the A380 to just twin engines – turbofans large/powerful enough cannot be built to lug all the weight of the current double-decker. The aircraft would also have to be redesigned for the changes in weight distribution (in the wings, wing box placement, and tail design) to maintain the correct center of gravity. These are the same reasons the Boeing 747 cannot easily swap out from a quad to a twin. It would be a better bet to create a completely new jet from the ground up, but I don’t think another new costly project investment is in the cards for Airbus at this point. A330 was designed as a hybrid. Please do read my response to TransWorld upthread. It’s all about wing span. Is this what you do, just attack people like you know them because they express some views about an aircraft you seem to like. I don’t frequent enough here to know this pattern but I have seen enough to know that I won’t get intelligent dialogue. I am moving on, I presume others should as well. I’m responding to people who express absolute certainty about the current A380 and who express absolute certainty that a next generation A380 and/or A380-derived aircraft will never happen. As I said up-thread, a fundamentalist have no doubts and is someone who creates absolute certainties where there isn’t any. If you’re offended by that, I’ll apologise. Although I am interested in your threads you were guilty of deliberately misquoting the initial article to support your argument. It is not surprising that others take exception to that. I truly do hope there is a neo.. When the ‘e’ is as optimized as possible aka the Ultrafan-esque engine. It would be a shame to do it too early and risk the program again. Airbus are right to slow production, await the market and the engine to make it great again. More to do inside the airframe, until then. LCC leisure passengers don’t really mind if flights are infrequent, they are going to take the day off anyway. This would favour consolidation, but there is another important factor,hotels.1or 2 extra night’s in Europe or the US in a hotel is going to be almost as expensive as the ticket. People have to come various distances to get to the airport, so there still need to be some flexibility. What nobody here is talking about is that the A380 needs to have much better CASM than competing aircraft to be viable for LCC’s. Otherwise they are better off flying two smaller aircraft as the latter offers much greater flexibility. Consistently filling 700 seats – not just in high season is a very real issue. 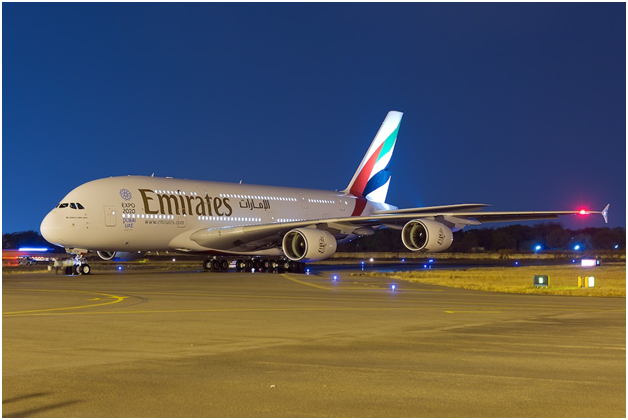 The one wild card would be as Emirates retires its older A380’s – they could be returned to the market at very low prices, potentially offsetting through lower capital costs the lack of flexibility and indifferent economics. How surprising that the guy sitting on 20 unleased 380s is publicly bullish about it’s future! Shocking I tell you! You bet I’m a Fanboy…..of direct flights! I don’t like to endure a hub or two unless there is NO choice. If it is “Pleasure Travel” (HA! ), I will re-evaluate if I really want to go if there are hubs to deal with. I’m thinking there might be a couple others like me out there……? Bruce L just hit it on the head. As an Avid Alaska Airlines watcher, I have always pondered why they don’t get a 767 for Anchorage to Seattle Flights. Call it the mini A380 scenario. Anchorage has large numbers of flight leaving for Seattle all at the same time . I would guess upwards of 6 or 8. Not all AK, but I have seen leaving within 30 minutes of each other. Seattle is seriously crowded and if not slot constrained at least bulging at the runway. And still the flexibility of the small aircraft works for AK. I get it frequency over a long period of time, but over short period? Someone a lot better at analysis than I can on Airlines ops has it figured out. 737s and lot of them work, 767, no. Not so. Their flights from Seattle to Anchorage are 9 spread throughout the day from 6am to 4pm plus a red eye, at this time of year. Delta is the only other carrier doing non stop. What you see, with many planes of one airline taking off in succession, is called a ramp, used by many airlines at their main hubs..
No, I have been there, all going to Seattle. Thats not what the booking sites say, especially google flights. AK has 9 non stops between the two cities, all spread out. You are confused with AK flights to other cities as Seattle is their HQ. So, what we have is saying on one side its the luxury and on the other side its jam packing them in. Malaysia is only doing this out of desperation because they can’t sell the A380s for the investment they have in them. Leisure market, really? Can you say the Haj? And said Haj is already served by who (Emirates) and others and all competing for bottom dollar an no amenities. So we have one Airline in the world with a unique hub that this works for and then it is the template for everyone else. Right. And Ameadaus, yes, they sure have been successful. Airbus is letting them spend the money to bet the bushes so they don’t have to. Good for Airbus, Amadeus sooner or later goes down in flames. For the 777 competitor version, what is only briefly hit on (per above) is you have to have 700+ people. all going the same place and then what do you do with an A380 that does not have 700 people going BACK? or has 700+ to carry onto someplace else? So, its buy an A380 and go bankrupt, it keeps the production line working and that’s what’s important to Airbus. We will pick up the mess latter if someone goes under. What is important to Airlines is not to go bust. How dare those dastardly Airline operate in their own best interest and not Airbus and Amadeus. The scoundrels. When you say ‘jampacking them in’ I think we are only discussing space utilisation similar or a bit better than the sort already apparent on B777/B787. Slightly overly emotive language for a business case that makes the A380 more competitive. Ok, lots of complaints on 787 and other that are dense packed. So, Equivalent Packing to other Aircraft? Yes I am surprised by the vitriol of passengers to dense pack on the B777/787. I thought SLC were sheep. The received wisdom is that price is all but I think like all extrapolation you get to a turning point on this. The A380 could be taken to 650 PAX + and still not have those comfort issues, I concede the relatively limited market for these volumes but at some stage society will be looking for quite dramatic noise/emission/ duplication of service reductions at hubs and this sort of vehicle could be the industry’s go to aircraft for that. Talking on a subject I am very unknowledgeable on I have always felt the US aviation model is fundamentally different in many ways to the rest of the world. I have never understood if it is an inevitable endgame of frequency, poor service, price sensitivity etc or it is due to conscious choice. Any thoughts would be appreciated. We are still talking about a relatively small niche market (10 – 20 units) that would help maintain production at 12-plus units per month through, say, 2024. The point about the current A380 is that it doesn’t take full advantage of the superior economics of the full double decker fuselage, mainly because it’s wing has too poor an aspect ratio. It was designed to fit into an 80 m x 80 m box. Now that the box will grow to 85 m x 85 m — and with the addition of 5-plus metre wingtips — Airbus should be able to offer a product that would largely be based on the A380, but that could have a fuel burn reduction of as much as 40 percent. A 40 percent reduction in fuel burn for a same sized VLA aircraft would change the game massively. LCCs would very likely come onboard, as well. I think Bjorn presented the take of a person. That person had some logic busts. He cited Malaysian, but they have just started and we have no idea how they will do. It was presented as a viable category when in fact no one has made it, its experimental and understand why MA would try it rather than loose far more still on the A380 that did not work as intended. They put them up for sale, could not get what they wanted. Next step, can’t sell it out, rent it out. Yep, been the picking guy on a lot of rentals. When talking about US airlines it is often overlooked that management renumeration is connected to share price. Share price is connected to analyst’s predictions, and analysts fly business and look at the business from an analysito-centric point of view. The analysts stating pax prefer frequency above all else are saying it because they personally do. I’m starting to hear of cases when very long haul pax are taking flights with a stop just because they can’t stand the idea of over 12 hours in a very cramped seat. As rich populations age that trend might well increase, but US airlines are stuck with small uncomfortable aircraft on longer routes because the business pax at the front are comfortable and think everybody else is. The reaction of the US3 to EK tells us the management of same airlines are not so convinced, but they are scared to change the plan. Remember JetBlue has done okay without cramming but it’s share price has always suffered at the hands of said analysts. I think the analysts might just be wrong, and AA/DL/UA management know it. “No wonder, when you operate it at 80% of its capacity, answered Airbus.” I agree with Airbus. But, until somebody can fill it at 3-5-3 downstairs, to go apples to apples against a 3-4-3 777 or 3-3-3 787 on similar routes, it’s a moot point. I gave Emirates two shots of the cherry in business on the Kangaroo route UK to Sydney, never again. The bar Tim Clarke waxes so lyrical over is not the marketing magnet he imagines. On the sector to Dubai it can become very rowdy, onward thereafter it quietens immensely being primarily used by more seasoned flyers. Having clocked up over forty return trips over the years on the 380 on the Kangaroo route nearly all up front I now avoid the abysmal Dubai hub. Regular 380 flyers have created quite an enthusiastic club style atmosphere which probably hasn’t occurred on any type since Concorde was withdrawn from service. My preferred carrier choice is Singapore, Malaysian (price) & Thai (price) & Korean in that order. Yes but, you were unhappy and the ten people making the noise were happy. That makes EK happy, because you, one person, avoid them, while ten come back. I often have to go to work straight after flying and a happy aircraft is the worst sort!! One plus for the A380 is that new fuselage cross sections are expensive. By virtue of the fact that the 707 cross section may be in production for 70 years, the A330 and 777 for some time, the A380 frame is a solid investment. Perhaps until 2050 when there is an ROI for the market to replace it with a similar size or carbon fuselage. That gives it awhile for new engines or new wings if the VLA market grows. True, just sayin’ if it works for the 777x, jury still being out, it could work for the A380 at some future point. Most LCC’s started life with used equipment, Ryan and Easyjet are a good example. I see a new niche emerging with half life, half price A380’s for a new breed of long haul LCC’s. Lower equivalent crewing costs and navigation and landing charges per seat, and as someone mentioned up thread revenue producing LD3 containers, and all the drink and food revenue from 700 plus passengers could make an interesting scenario. It’s almost funny reading this today, a few weeks after the Amedeo order was cancelled and production termination was announced. Fair play to Lapidus for staying positive throughout this, but it seems he never really got that much traction to begin with, as many suspected.